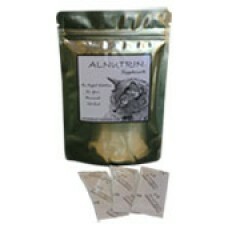 Alnutrin for Meat and Bone (Pre-packaged) comes in 16 small packets to ensure accurate dosing without weighing. This product should be used according to the directions printed on the label or along with recipes in our Recipe Library. Serving per container Net Weight: 2.3 oz or 64 g Makes approximately 16-18 lb of food depending on the amount of water added.